Hi! 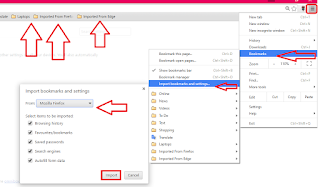 Welcome back, in this post I will show you how to import bookmarks or favorites from Mozilla Firefox, Microsoft Edge, Opera, Internet Explorer to Chrome browser. You don’t need to any hard just follow these easy steps. 2. 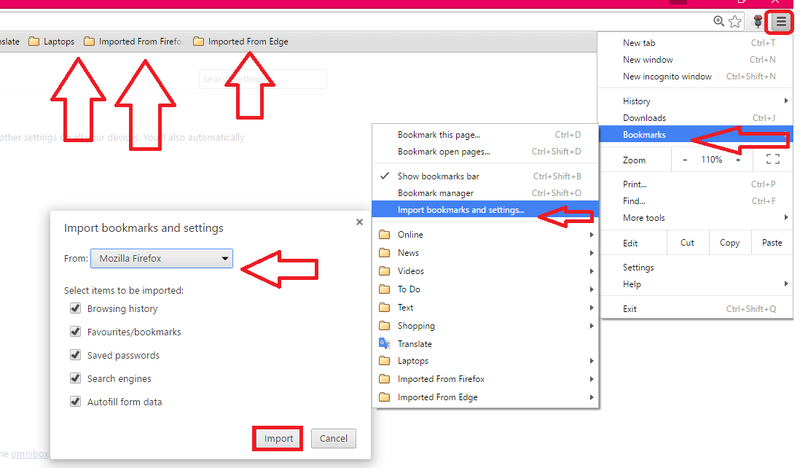 Click on “Import bookmarks and setting” select the “Browser” and click on “Import” and “Finish”, the bookmark will add into your chrome bookmark bar.